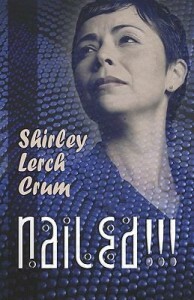 Shirley Lerch Crum. Nailed!!! Baltimore, MD: PublishAmerica, 2006. Cathy Cleveland and her best friend Linda Tate almost died last summer when they inadvertently got involved in a diamond smuggling scheme. Since then Linda has been living life to its fullest, and she is about to be married to dapper airline captain David Sokol. Cathy has a wonderful man in her life, handsome FBI agent Peter Channing, but she is keeping him at arm’s length. As a cancer survivor, Cathy is aware that that life can take some cruel turns, so she is reluctant to let Peter, whose wife died from cancer, know how she feels about him. John Marley has provided Cathy with a nice diversion. Marley is a visiting professor at the college where Cathy teaches, and she enjoys his company when he is in town. But Professor Marley is out of town quite a bit, guest lecturing at a number of colleges in the Carolinas. He’s quite the showman, demonstrating scientific principles in exciting lectures that sometimes include walking on hot coals or lying on a bed of nails. As this novel opens, Cathy goes by campus to pick up Marley so that they can spend the evening together. 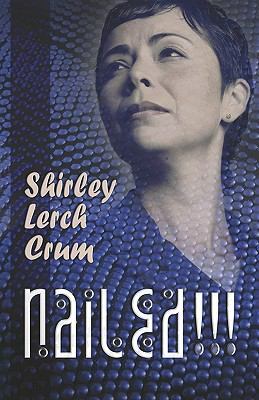 She finds that Marley has been murdered–someone tampered with his bed of nails. As the person who found the body, Cathy is a suspect. But Cathy saw Peter Channing on campus shortly before Marley’s murder, and she fears that he might have been jealous enough of Marley to kill him. The mutual distrust prevents Cathy and Peter from cooperating, and puts Cathy and Linda in danger. John Marley’s academic career was just a cover for a sinister conspiracy to destroy a number of beach communities. 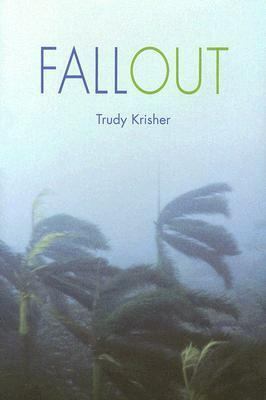 In chapters that alternate between Cathy’s activities and those of the conspirators, author Crum reveals the details of the conspiracy, the self-interests and double-dealing of the conspirators, and the reasons that Cathy’s life is in danger. The action-packed finish takes place during the Wrightsville Beach Holiday Flotilla. Jerry Eden. Ashley Jordan’s Secret. Bloomington, IN: AuthorHouse, 2006. It’s a beautiful day at the Cliffs of the Neuse State Park just outside of Goldsboro, North Carolina. But the day turns bleak when a couple celebrating their thirtieth wedding anniversary with a trip to the park discovers the body of a young girl. Wayne County law enforcement, headed by the handsome Officer Rico Acosta, quickly determines that foul play was involved. At the same time, powerful State Senator Zachary Jordan contacts Rico to inform him that his teenage daughter, Ashley, is missing. What Rico fears soon proves to be true: Ashley Jordan and the murdered girl found at the Neuse River are one and the same. Slade Lindsey is just passing through Wayne County on his motorcycle, so when he’s arrested for murder, he’s very surprised. He agrees to cooperate with Rico, whom he trusts, but it soon becomes clear that someone wants Slade to take the fall for Ashley’s murder. It doesn’t help that Slade is an outsider to the community, and looks a little rough around the edges. What follows is a complicated court case that eventually involves highly skilled professionals from New York City, as well as one of the best defense attorneys in the United States. As the trial progresses, it becomes clear to all that Ashley Jordan’s death was neither a crime of passion nor opportunity. The young woman knew something valuable, and it got her killed. Will this crack team of law enforcement professionals discover who killed Ashley Jordan? More importantly, will they be able to prove Slade’s innocence and save him from certain death? David C. Corbett. 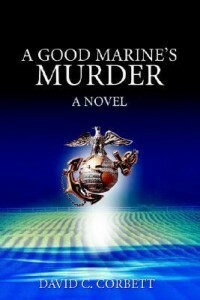 A Good Marine’s Murder. New York: iUniverse, 2006. 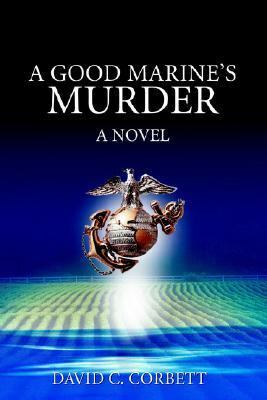 When Colonel Jack Adams’s Harriet jet crashes while on a routine training mission, the brass at the Marine Corps Air Station at Cherry Point, North Carolina tap Colonel Dan Breakheart to lead the investigation. Moments before the crash, Col. Adams reported that the engine was decelerating. When the standard emergency procedures failed to correct the problem, Adams knew he had to eject, and that’s when he found out that the ejection seat didn’t work. Breakheart thinks that the probability that one plane would have two such problems is low, so he suspects sabotage. While Breakheart and his team painstakingly examine the remains of the plane, another officer is murdered. Once again, Breakheart does not believe that this is a coincidence. Dogged investigation and a bit of daring-do enable him to crack the case. David Corbett flew fighter jets for twenty-eight years, and readers who share this background will appreciate the details, terminology, and slang related to flying that are embedded in the storytelling. At the back of the book, the author thoughtfully provides definitions for those unfamiliar with flying terminology. Tim Myers. Dead Men Don’t Lye. New York: Berkley Prime Crime, 2006. Meet the Perkins clan: a family of six adult brothers and sisters devoted to soapmaking in the fictional town of Harper’s Landing, North Carolina. Under the watchful eye of their mother, the siblings own and operate Where There’s Soap, an artisan soap shop and factory where they produce finely crafted soaps, teach classes, and spend much of their time as a family. Benjamin Perkins, the eldest, often acts as a surrogate father to his younger siblings by taking on the lion’s share of the management and making sure no one gets into too much trouble. He has his work cut out for him. One morning while opening the store, Ben finds supplier Jerry Sanger sprawled on their back steps–dead. While Jerry has been doused in lye, the corrosive base used in soapmaking, it’s clear that someone deliberately broke his neck beforehand. This looks bad for Ben’s little sister Louisa, who happened to be dating Jerry and had also just found out that she wasn’t the only woman in his life. In fact, as the investigation proceeds, it becomes more of a question of who Jerry wasn’t dating! Still, Louisa is the prime suspect, and Ben will do anything to protect his family. Luckily, his longtime off-again-on-again girlfriend, the tough and capable Molly, is on the Harper’s Landing police force. Ben investigates Jerry’s murder, determined to find the real killer, with the exasperated Molly in tow. His search introduces us to the many colorful characters in Harper’s Landing and eventually leads straight to the killer. 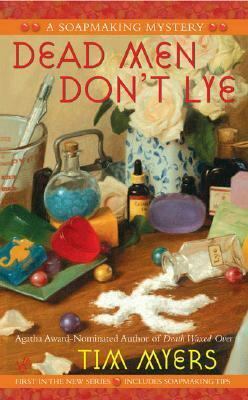 The first installment in the Soapmaking Mysteries, Dead Men Don’t Lye is a sordid tale of murder…complete with useful soapmaking tips! A cozy mystery perfect for those who also enjoy crafts. Dixie Land. Second Chances. Kernersville, NC: Alabaster Books, 2006. Grace Garrett is thrown for a loop when she stops by her husband’s law office one night and finds an office assistant, half-dressed, on his desk. Can it be that her husband of twenty-plus years has been carrying on with this young woman? When the woman is murdered, Grace is not the only one who wants an answer to this question. Second Chances follows Grace as she attempts to juggle her responsibilities as a mother, daughter, wife, and friend with her investigations into her husband’s life and the history of the dead woman. There are many twists and turns before Grace learns the full story and builds a new life for herself off the foundations of her years as Mrs. Andrew Garrett. Mark Schweizer. The Soprano Wore Falsettos. Hopkinsville, KY: St. James Music Press, 2006. As this novel opens, Hayden Konig has resigned from his musical duties at St. Barnabas. His feelings about this are mixed–he’s happy to be away from the pressure of the big Holy Week services, but he knows that the choir is dwindling in numbers and quality and that the replacement organist, Agnes Day, is not up to Hayden’s standards. St. Barnabas has some interesting problems–the most exciting of which is what to do with the $16 million windfall that the church is about to receive. Hayden’s significant other, Meg, is heading the committee that will propose how the church should use the money. Meg asks Hayden to join the committee, seeing this as a way to lure Hayden back to fuller participation in the church. Soon something else brings Hayden back–a body in the choir loft. Someone bludgeoned Agnes Day to death with a hand bell after the Palm Sunday service. As Hayden investigates the murder, he finds that many people had reasons to dislike Agnes. Jacquelin Thomas. Shades of Gray. New York: Steeple Hill Books, 2006. Sela and Rodney Barnes married when they were quite young, and as this novel opens they are celebrating their twentieth wedding anniversary. They have built a good life together–their two oldest children are in college at North Carolina State University, and Rodney owns a successful trucking business. But Rodney’s parents have never accepted Sela. They believe that Rodney’s marriage to Sela and the quick birth of their oldest daughter kept Rodney from finishing college and becoming to white collar professional that they expected him to be. Although it is unsaid, Sela can sense that they disapprove of her because she is African American and Mr. and Mrs. Barnes are white. Sela’s relationship with Mr. and Mrs. Barnes is one of the few points of tension between her and Rodney. Religion is the other one. Rodney has been born again as a Christian; he and the children attend church each week and he looks to the Bible for guidance in his daily life. Shortly after the celebration of their twentieth wedding anniversary, Rodney is diagnosed with heart disease. After a heart transplant fails to save Rodney, Sela is left to raise the children and run the business alone. Reading Rodney’s diary, and an intervention by her two oldest children, help Sela to see the value of religion and to make peace with her in-laws. There will be challenges ahead, but Sela and her family–all of them–will go down the road together. Tim Myers. A Flicker of Doubt. New York: Berkley Prime Crime, 2006. When Harrison Black discovers the corpse of his ex-girlfriend, Becka Lane, in the Gunpowder River, he is overcome with shock and sadness. Although they were no longer a couple, Harrison and Becka had maintained a strong friendship. As Harrison and his friend, Markum, look for clues in Becka’s death (the police have ruled it a suicide), the quiet settlement of Micah’s Ridge is rocked by another disturbance. Greg Runion, a brash real-estate developer, is trying to get landowners to sell him their property so that he can build condominiums and shops. Harrison and other townspeople are completely against this plan, which would disrupt the tranquility of their village. When Harrison cannot get in touch with Cyrus Nash, an elderly gentleman who owns a lot of property in Micah’s Ridge, he becomes suspicious of Runion’s intentions. As Harrison investigates Becka’s death and Cyrus Nash’s strange temperament, he discovers that they are related. 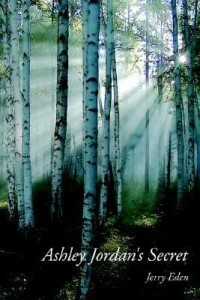 By unearthing their connection, Harrison is able to clear Becka’s name, help his friends, and preserve Micah’s Ridge. A Flicker of Doubt is Tim Myer’s fourth novel in the “Candlemaking Mystery” series.